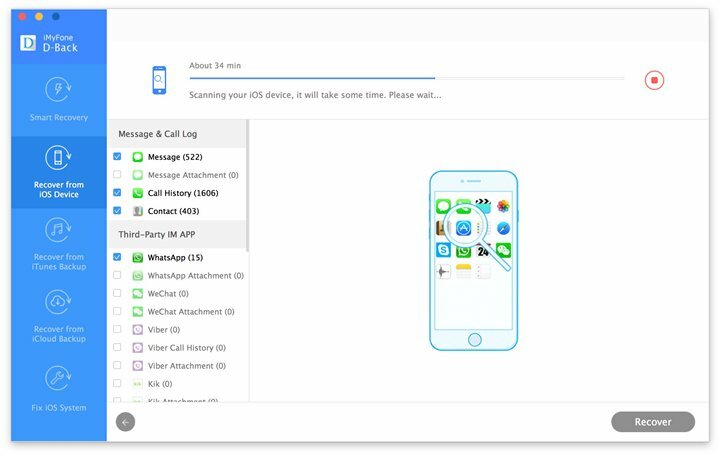 It can become essential to save messages on your iPhone and their attachments to your computer for a number of reasons. You may want to back up the text messages to keep them safe, may need to print a section of your messages or even just export the attachments to keep them safe before deleting the messages. 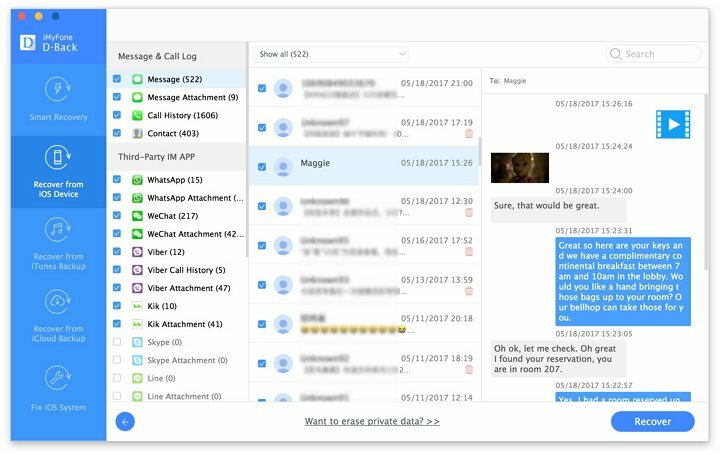 Whatever your motivation, iMyFone D-Back or iMyFone D-Back for Mac allows you to easily save conversations from your iPhone messages app in several formats. These formats include. CSV which is a format compatible with Excel, Numbers or Sheets. As HTML, which is ideal when you want to save the messages. 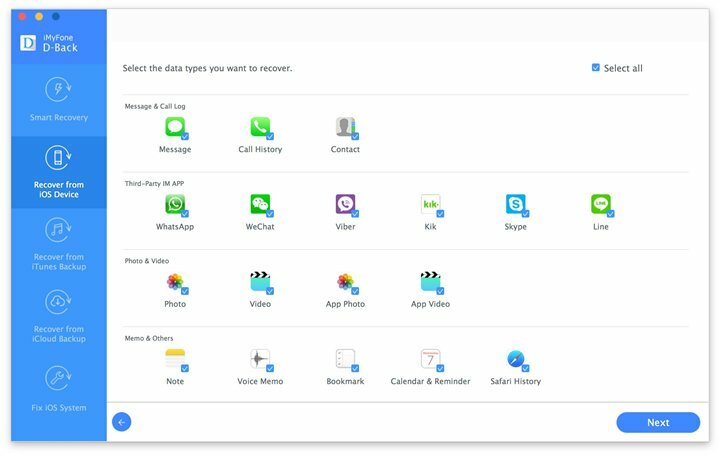 You can also save any videos, photos and contacts, WhatsApp messages, Kik messages, Viber messages notes and more files from iPhone to computer. To export the messages and their attachments, begin by downloading and installing iMyFone D-Back to your computer. 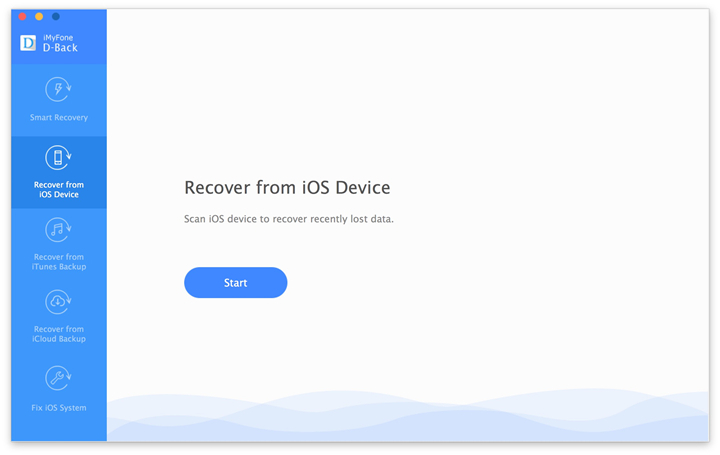 Step 1: Open the program and then select “Recover from iOS Device.” Click “Start” to begin. Select a folder on your computer to save the exported messages and their attachments.